Apple iPhone and iPad users have been warned not to fall for fake emails and texts that aim to trick them into handing over their iCloud login so scammers can access all their personal information stored in the cloud. The messages claim to be from Apple and typically warn the user that their account has been “restricted in order to safeguard your information” and urge the recipient to “verify and update your account” using the link provided. It is similar to the thousands of “your PayPal account has been suspended” emails, but what appears to have caught out many this time is the fact the texts look as though they have come from Apple – and have arrived on phones that have never received other scam texts before. It’s just the latest phishing scam, albeit a more sophisticated version. Tony Neate who runs the government-supported Get Safe Online website says: “This is particularly manipulative as it threatens to deactivate your cloud drive account – a place where many of us store our most cherished and important documents, things that we just cannot risk losing. Neate says users should always be on their guard and should check the web address as they often mimic real sites and web addresses very cleverly. If you are unsure and want to check an account, log in from a new web page you open yourself rather than by using any link sent in a text or email. Get Safe Online has also warned about another scam email catching out unwary consumers, not least because it is expertly crafted and, crucially, has been addressed to the recipient by name, and includes their home address. Get Safe Online says the emails claim to have been sent by one of a number of different authentic companies and request the payment of an overdue invoice, which it says can be accessed by clicking on a link. The legitimate firms involved have been swamped with phone calls from people who have received them, it says. “If you receive such an email you must not click on the link, as it will install malware such as CryptoLocker. CryptoLocker is a type of ransomware that encrypts files on Windows-based computers and demands a fee to unlock them. This effectively renders the computer unusable and, generally, the files are not unlocked even if the fee is paid,” the website warns. Dr Steven Murdoch, principal research fellow at the department of computer science at University College London, says the most likely source of the information was a retailer or another internet site that has been hacked into and had its database stolen. “It then could have been sold or passed through several different people and eventually it got to the person who sent out these emails.” He says this scam most likely originates from online fraud gangs in eastern Europe and Russia. How to fix an iPhone that keeps asking for iCloud login and password? 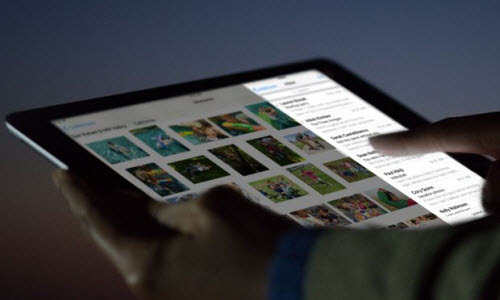 How To Access iPhone Data from iCloud? This entry was posted in Apple, iCloud, News and tagged apple, iCloud, iPad, iPhone, Money, Scams, Tablet computers by IosdroneD. Bookmark the permalink.